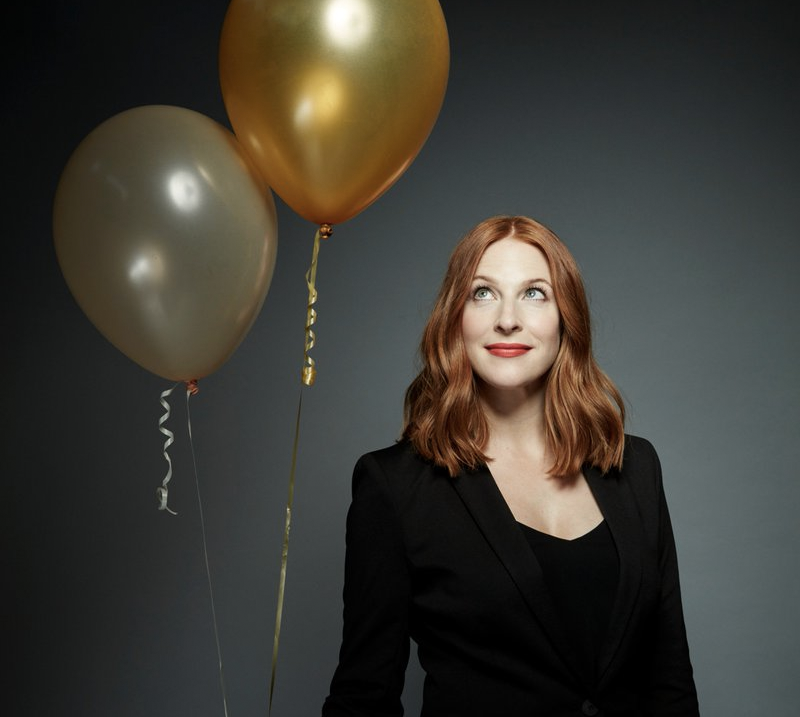 I joined Rosalie Craig (The Ferryman), who will star in a new production of Company, which opens at the Gielgud Theatre in September next year, to chat about the show. If you’ve ever seen Rosalie on stage or in an interview before, she’s just like you’d expect in real life – warm, bright and chatty. I can’t help but envy her stunning red hair, which is as gorgeous in reality as it is on the posters for Company. Directed by Marianne Elliott (Heisenberg: The Uncertainty Principle and War Horse), she’ll be playing the role of Bobbi, usually played by a male actor, who is struggling with the prospect of settling down. It doesn’t help that she’s surrounded by married friends who flood Bobbi with questions and advice about her own life. Since her recently announced co-star, Patti LuPone, is still in the US right now, Rosalie is very much the focal point around the show, and deservedly so. She’s been with the project for some time and is thrilled to be a part of this team in particular. I ask about Patti coming on board. “Chris Harper, who runs Elliott & Harper Productions alongside Marianne rang me to say he had some very good news.” Rosalie tells me. With the show opening in September next year, you might think it’s a little early to begin the press rounds but Rosalie has already been working on the show for quite some time. She has been a key part of the workshop process – helping to decipher how the pivotal gender change would work. That’s so funny you say that because Marianne had the same experience with Simon Stephens with The Curious Incident of the Dog in the Night-Time. She didn’t know he was asking her to be a part of it. We talk about the gender-swapping in the show. There will likely be many articles written about this as it’s become a popular topic for theatre creatives, especially in the last year. I wonder if it’s the case that gender-swapping a role isn’t a big deal or should we just be looking for more female roles, written as such? How has it been reuniting with Marianne again? She laughs giving away the obvious affection she has for her Director and friend. The pair worked together previously on The Light Princess, featuring the music of Tori Amos, and clearly Rosalie has been itching to work with Marianne again. “Where do I sign for the rest of my life and what else can we do together? She’s great, in the truest sense of the word. She’s such a human. Talent that huge from a theatrical visionary- she’s just a pioneer and makes history whenever she makes a piece of theatre. Marianne never just throws something on, she thinks about it and wouldn’t ever do it unless there was a reason to. When doing a Stephen Sondheim show, you’ve always got to get the sign off from the man himself and Company is no different. “He had to be consulted from the word go, out of respect. 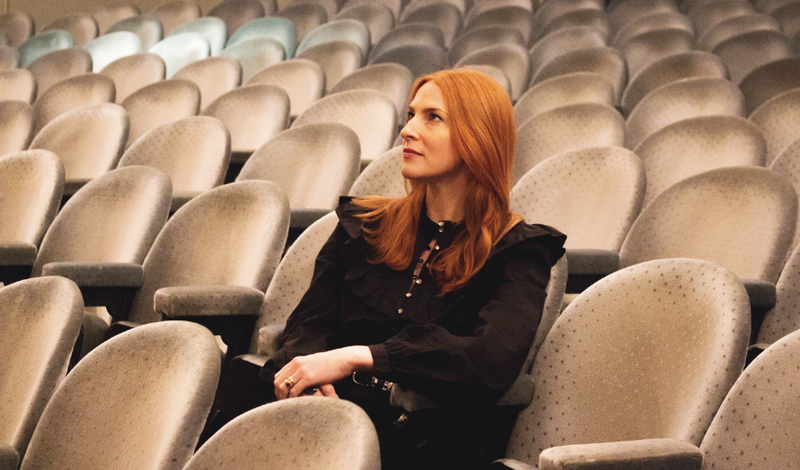 When she [Marianne] started thinking about it, she contacted Sondheim with our idea. He has always wanted Marianne to direct one of his musicals and she’s wanted to do this one for a very long time. When I was doing it in Sheffield Marianne was telling me how much she wanted to direct her own production of Company, but couldn’t figure out what she wanted to do with the piece. That was in 2011, so you can see how long she’s been thinking about it. When she first asked Sondheim, he wasn’t convinced. Marianne had a better idea. “No, we’ll do it in London and we’ll film it” she said. And we did just that in the Summer of 2016. We had a week to really decipher if our idea had legs, and to get it on film for the show’s creator, all during a particularly uncomfortable heatwave and while I was heavily pregnant. It was really just one of those things where we had to keep our eyes on the prize. But we did it. And then there was this horrible period where it was sent off to him for his response and all we could do was wait. I remember I was at the National Theatre for a fundraising evening, and I felt terrible as I had my phone under the table knowing Marianne was going for dinner with Sondheim to hear what he thought. When it comes to the music, Sondheim’s songs are iconic but which are you most excited to sing when the show opens? “‘Being Alive’ is the one. And it comes right at the end of the show. I didn’t know how brilliant that song was until I really got to look at it and pull it apart during our workshop last year. And we have only worked on it for a week. What society would ask of a woman, it would never ask of a man. You’d just be a bachelor. As I’m wrapping up our time together, I end on rather a big question. Why theatre? Why do you do it, why do you watch it? What is it about theatre that calls to you over other things? “That is a big question but I think it’s a really important one because I just felt it when I was very young. My parents used to take me to the Nottingham Playhouse where I grew up and I remember watching the panto at Christmas. How can I even put this into words? It’s just the sense that you’re all collectively sat in a box which we all know isn’t real, we all know they’re actors on a stage. It’s a play, there’re lights, there’s music. Anything could go wrong at any time, and does, frequently. But we all go, we all sit and want to believe in something. What’s better? In such a world as this, I find it reaffirming a comfort that people still want to come and believe in something else, even if they may or may not enjoy the experience. Don’t miss your chance to see Rosalie in Company from September 2018, set an alert to be notified when tickets are available on TodayTix. Can’t wait until then? See her now in The Ferryman!